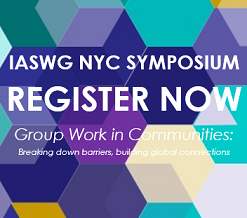 In 1936 the National Association for the Study of Group Work (NAGSW) was founded as a focus for organizing the development of group work, according to Ramey (1979). Ramey (1979) in his analysis of the group work literature of this time period indicates that in 1939 NAGSW published the first issue of an eight page newsletter titled "The group in education, recreation and social work". From this modest beginning, Ramey adds, there developed in the next sixteen years a small but significant literature printed in this publication.